Let’s face it, we women do not always feel very beautiful while we are pregnant. You are growing a human being and that can come with occasional swollen feet, puffy face and feelings of anxiety and fatigue. The fact that you are growing a human being makes you so very special, beautiful and absolutely stunning. This is a time to celebrate motherhood and pregnancy. Love yourself and those big ankles. Love that big tummy. Photograph them for all time. Sometimes the best maternity portrait isn’t even about the bump. 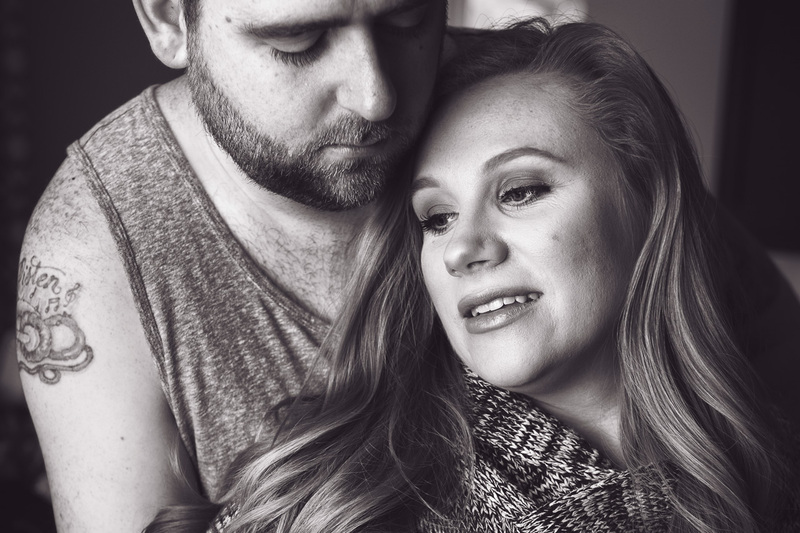 With meeting their baby is a few weeks away, this couple prepare for their world to change.